In my role as an analyst, it is amazing to have access to brilliant people and huge amounts of information. On this blog, I’ve always liked to share some of the books and other sources that have a profound impact on what I’m working on. Through Wikibon research (now on a new website Wikibon.com) and live video program theCUBE, I’ve had a front row seat to dig into the disruptive forces of cloud computing, big data and new infrastructure. I get to attend a number of technology conferences, my favorite event this year was with the MIT Sloan School in London that included sharing of research from the book, The Second Machine Age (book website, theCUBE content). 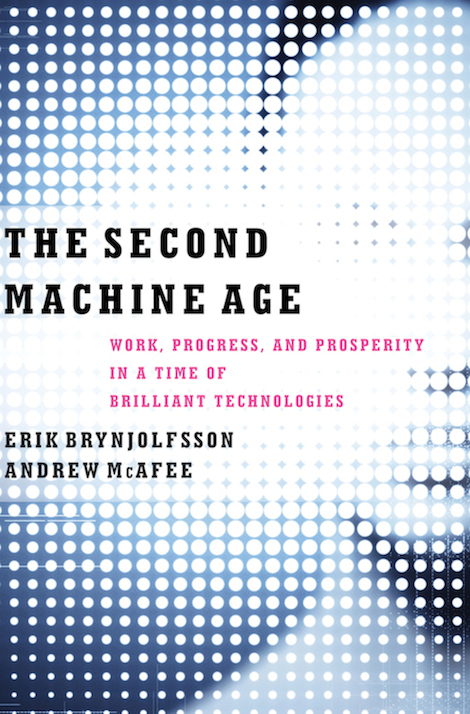 Professors and co-authors Andy McAfee and Erik Brynjofsson (interview below) examine how information technology will have an even larger impact on how we live and work than the Industrial Revolution; the first machine age based on machines replacing physical tasks, in the second, machines take over more cognitive tasks. As discussed in the interview, this new era does not mean an end to jobs; there will be a shift away from repetitive tasks and successful in this new economy will require significant shifts to organizations, training and education. Technologies like IBM’s Watson and Google’s self-driving car sit at the intersection of these trends. IBM’s Watson can not only play Jeopardy, but is being focused on real-world activities such as health care where vast analytics can help doctors make decisions faster and provide basic diagnosis to global audiences thought mobile applications. Andy and Erik say that the first few minutes riding in a self-driving car are a bit scary, but soon becomes easy to accept and that within only a few years we are likely to trust the machines to do a better job than most of the drivers around us. For those of us that have lived through the birth and growth of the World Wide Web, it can be a bit tough to put into perspective some of the amazing things that are now commonplace today. 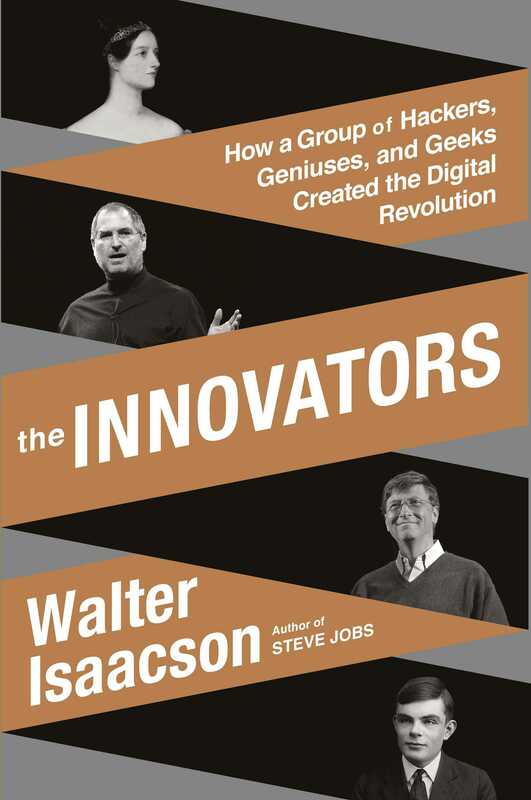 In Walter Isaacson’s book The Innovators, which gives a great longitudinal look at the development of the computer and Internet over the last 200 years, he discusses a seminal article by Vannevar Bush published in 1945 after World War II. In As We May Think in The Atlantic Monthly, Bush looks forward to see what the world’s scientists can create with photography and computer technology if they all work together. The ideas for hypertext, the Internet, browser and even Google Glass are all here; even seventy years later, there are some great ideas in the article (it’s only 19 pages, give it a full read). In 1945, much of what Bush wrote must have sounded like science fiction. Incremental changes are a lot easier to imagine than the 100x or 1000x advances that he discussed. The instant photo of a Polaroid was fun, but taking a picture anytime on a phone and being able to share it globally is vastly different. The power of cloud computing and big data can be seen when we can do things that either could not be done before or would take huge amounts of resources and time. One of the challenges with disruptive markets is that we tend to dismiss breadth and depth of the impacts. For some of Wikibon’s thoughts on some disruptive trends, see analysis and video about public cloud and Server SAN (storage/hyperconverged infrastructure). Another topic that I found interesting from The Innovators was a discussion of how the Internet has long fought between two modes of sharing: a one-way posting of information (a low barrier including everything from early research postings to the various media firehoses today) and a platform for collaboration and community. Community and collaboration is a lot harder and requires lots of care and feeding. Blogging is part of the collaboration and community effort; while there are still plenty of blogs, many of us do more writing for our day jobs, and participation has dispersed into the real-time streams of Facebook, Instagram, Twitter and other areas. I’ve written over the years that we need more engagement, deeper analysis, and curation of ideas. One corner of the IT community digging into the opportunity of curating and sharing information is TechReckoning, led by John Troyer; check out the newsletter and upcoming Silicon Valley event. The event raises the question, what job will you have in 10 years? When it comes to disruption, if you don’t set the menu, you may be on it. It has been more than a year lapsed since my last post on this site, if anything, I’ve been concerned of overexposure after so much time in front of the camera on theCUBE. Since I have yet to write an article about my thoughts on being an analyst five years into that role, here’s a good replacement thanks to my friends from The Geek Whisperers podcast who interviewed me at VMworld 2014: Episode 60 Research Analyst. 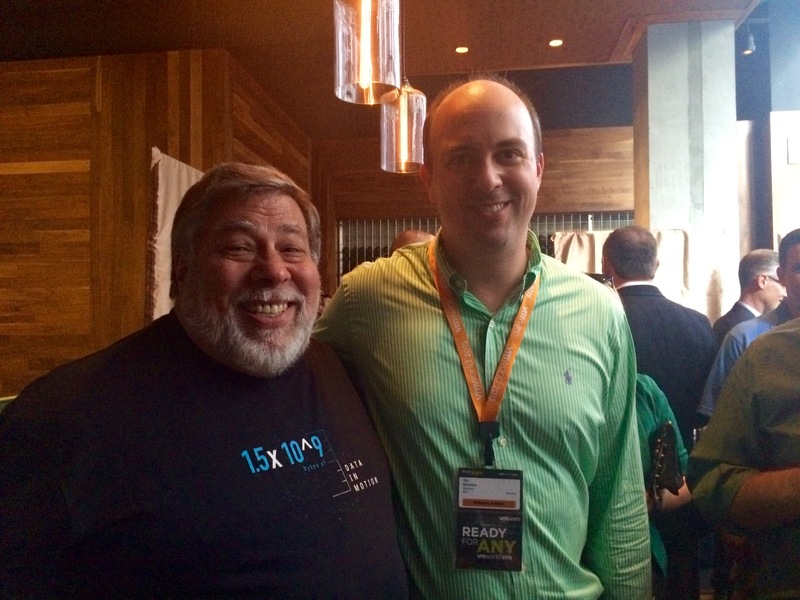 At a VMworld 2015 party, I got to briefly meet the Woz and thank him – my first computer was an Apple IIc. A younger attendee at VMworld thought that it was a picture of Howard Marks with me (it made Howard’s week, even if it’s disappointing that an attendee at a tech conference doesn’t recognize one of the founders of Apple). This entry was posted on Monday, September 7th, 2015 at 4:35 PM and is filed under Uncategorized. You can follow any responses to this entry through the RSS 2.0 feed. You can leave a response, or trackback from your own site. I truly enjoy the insights that you share.